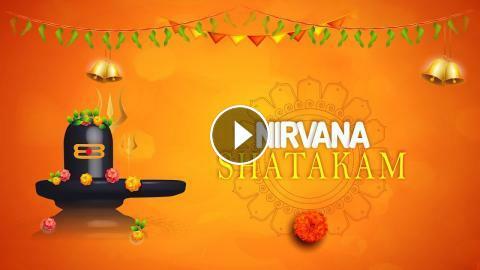 Meditative Mind wishes you all a bliss-filled Maha Shivratri. Today, our earth and other planets are positioned in such a way that there is a natural upsurge of energy on the earth. This is a day when nature is pushing us towards that spiritual peak, that spiritual oneness. So do not forget to Meditate today..
1) I am not mind, nor intellect, nor ego, nor the reflections of inner self. I am not the five senses. I am beyond that. I am not the ether, nor the earth, nor the fire, nor the wind (i.e. the five elements). I am indeed, That eternal knowing and bliss, Shiva, love and pure consciousness. 2) Neither can I be termed as energy (Praana), nor five types of breath (Vaayu), nor the seven material essences (dhaatu), nor the five coverings (panca-kosha). Neither am I the five instruments of elimination, procreation, motion, grasping, or speaking. I am indeed, That eternal knowing and bliss, Shiva, love and pure consciousness. 3) I have no hatred or dislike, nor affiliation or liking, nor greed, nor delusion, nor pride or haughtiness, nor feelings of envy or jealousy. I have no duty (dharma), nor any money, nor any desire (refer: kama), nor even liberation (refer: moksha). I am indeed, That eternal knowing and bliss, Shiva, love and pure consciousness. 4) I have neither virtue (punya), nor vice (paapa). I do not commit sins or good deeds, nor have happiness or sorrow, pain or pleasure. I do not need mantras, holy places, scriptures, rituals or sacrifices (yajna). I am none of the triad of the observer or one who experiences, the process of observing or experiencing, or any object being observed or experienced. I am indeed, That eternal knowing and bliss, Shiva, love and pure consciousness. 5) I do not have fear of death, as I do not have death. I have no separation from my true self, no doubt about my existence, nor have I discrimination on the basis of birth. I have no father or mother, nor did I have a birth. I am not the relative, nor the friend, nor the guru, nor the disciple. I am indeed, That eternal knowing and bliss, Shiva, love and pure consciousness. 6) I am all pervasive. I am without any attributes, and without any form. I have neither attachment to the world, nor to liberation. I have no wishes for anything because I am everything, everywhere, every time, always in equilibrium. I am indeed, That eternal knowing and bliss, Shiva, love and pure consciousness. Copyright ⓒ 2018 Meditative Mind. All Rights Reserved.